Ken Barringer is the Director of the Academy. He has been with the Academy since 1981. Ken earned his degrees from Clark University and Lesley University. He is an adjunct faculty member at the Boston College Lynch School of Education and Lesley University Division of Counseling and Psychology. He is a consultant to public and private schools as well as mental health programs. Ken also maintains a private therapy practice specializing in grief and loss. He is the former chairperson of the Children's Group Therapy Association and is currently a member of the American Counseling Association, Mass. Mental Health Counselors Association, Association for Counselor Education and Supervision, Association for Specialists in Group Work, and Association for Multicultural Counseling and Development. Jessica Capone, Program Manager for the Academy has been a staff member since 1997. Jessica obtained both her undergraduate and graduate degrees from Boston College. 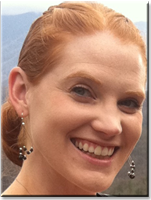 As an undergraduate, Jessica majored in psychology and obtained a Masters degree in counseling psychology. 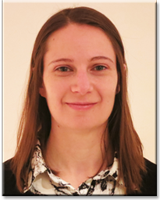 Jessica currently maintains both a group and individual caseload at the Academy, has experience in training and consulting within the public school sector, and as Program Manager is responsible for monitoring the daily operations of the Academy program itself. In addition, Jessica also maintains the position as director of the Academy's summer program, Camp Nonantum. Veronica Carney joined the Academy in 2003 and currently works as a group counselor and individual therapist for children and adolescents. She holds a Masters Degree in Counseling Psychology from Boston College in addition to a BA in Early Childhood Education and Psychology from Dartmouth College. She obtained her Elementary Education Certification in 2001 and has worked as a Certified Personal Trainer since 2002. Veronica has also worked in past years as a full time Physical Education Teacher in two Boston Public Charter Schools implementing curriculums that fostered physical, social and emotional development. Additionally, she consults with public schools on mental health and group related issues. Veronica is the founder and director of the Academy's personal training program, IN MOTION, which supports children with social and emotional needs to become more physically active and confident. Veronica is also the co-founder of the Academy Sports Program which has helped children learn and practice traditional sports in the safe environment of the Academy since 2004. Otto has his B.S. from the University of Wisconsin - Milwaukee in elementary education and his Masters and Certificate of Advanced Graduate Study from UMass-Boston in school psychology. He has taught 2nd and 3rd grade for 13 years before shifting his careeer to school psychology. Otto is currently a school psychologist at the Walsh Middle School in Framingham and is a Nationally Certified School Psychologist. Andrea Maxwell received her M.S. in Counseling and School Psychology from the University of Massachusetts Boston. Before her time at the Academy Andrea taught theatre in elementary schools and worked as a preschool teacher in the Boston area. She has experience in Early Intervention which focuses on children birth-to-three years old. She studied as a graduate intern at the Academy in 2011-2012, and began work as a full time staff member in 2012. Andrea runs social skills groups, provides social coaching services, and provides individual therapy services. Andrea is a Licensed Mental Health Counselor. Jessica Kruss is a Licensed Mental Health Counselor who provides both individual and group therapy services at the Academy. She a received her Master's degree in Mental Health Counseling and Behavioral Medicine from Boston University's School of Medicine. Jessica has been a staff member here at the Academy since her graduate internship year in 2011-2012. In addition to her mental health training, Jessica also has taken course work in Sports Psychology and worked with Freshman Athletes at Boston University's Student Athlete Support Services. Lindsay received her M.A in Mental Health Counseling from Boston College and her BA in Psychology from Stonehill College. She has been with the Academy as a part time staff member since 2013. 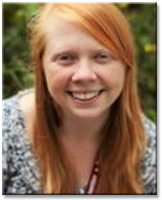 Lindsay also currently works as a Licensed School Based Clinician with The Home for Little Wanderers, serving as an individual therapist for children in the schools on the North Shore. She has also had experience working in a group home, working with adolescents with behavioral and emotional difficulties. 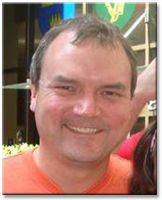 Neil Hagen spent two years as a high school math teacher before he earned his M.A. in Mental Health Counseling from Boston College in 2016. Neil was an Academy intern for the 2015-2016 school year and has been on staff since, providing both group and individual counseling. In addition to his part-time work at The Academy, Neil is a full-time Upper School Counselor at Beaver Country Day School and an Assistant Director at Running Brook Day Camp during the summers. Janae Sernoffsky graduated with her M.A in Mental Health Counseling from Boston College in 2015 where she completed her internship at the Academy of Physical and Social development. Prior, she received her M.S in Sport Psychology from Miami University and her B.S in Kinesiology and psychology from the University of New Hampshire. Janae currently works as a masters level clinician at one of JRI's residential programs where she provides trauma-informed individual and group counseling to adolescent females and their families. She has a range of experiences working with children and adolescents including assessment work at McLean's Anxiety Mastery Program. 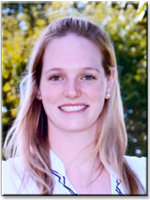 Emily received her master’s degree in Social Work from Boston College and her BA in Psychology from Stonehill College. She is starting her first year as a part time Academy staff member after working as an Academy intern for the 2014-2015 school year. 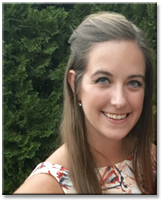 Emily currently works as a Masters level clinician for Dearborn Academy in Newton servicing children who have learning, emotional, and behavioral challenges. She has also had experience working as a School-Based Clinician through an outpatient agency, providing individual, group, and family therapy to children and families. 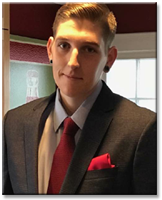 Scott began at the Academy of Physical and Social development in Fall 2016 as a graduate intern and is excited to continue his work with children and families in the community. Prior to working at the Academy, Scott provided support to children and families in Cambridge at The Boys and Girls Club. While working within this setting, Scott was a program specialist, designing cooperative and educational games for children. As an undergraduate, Scott studied mental health counseling at Lesley University and interned for agencies such as Arlington Center For The Arts and All Care Hospice. Scott is now an adjustment counselor at O’Donnell Middle School in Stoughton. Stephanie received her M.A. in Mental Health Counseling with a specialization in Dance/Movement Therapy from Lesley University and her B.A. in Elementary Education and Human Development from Boston College. She holds an elementary teaching license and has experience teaching and counseling children who are hospitalized for physical and mental illnesses. She is a lifelong mover, a Registered-Dance/Movement Therapist, and has led dance and movement groups for children, teens, and adults. 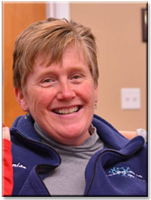 Stephanie currently works with children and families in bereavement as a Children's Services Counselor at CareGroup Parmenter Home Care & Hospice, Inc.
Denise Goguen has been the bookkeeper at the Academy since 1996. She carries an associates degree in accounting and has been a bookkeeper for 25 years. In addition to the Academy, Denise maintains positions with Running Brook Day Camp and the Windsor Press. The Academy is involved with the training of new counselors. We are an internship site for graduate schools of counseling and social work. Area colleges we are affiliated with include; Boston College Schools of Education and Social Work, Boston University School of Medicine, Mental Health and Behavioral Medicine Program and the Boston University School of Social Work, Simmons School of Social Work, Lesley University, Northeastern University, Framingham State Mental Health Program, the UMass Mental Health Counseling Program, and William James College.